Meet Dr. William DeNamur born and raised in Columbus, Georgia Committed to providing best dental care for your family in a friendly, caring environment. Dr. William DeNamur was born and raised in Columbus, Georgia. He graduated from Hardaway High School and Columbus State University. 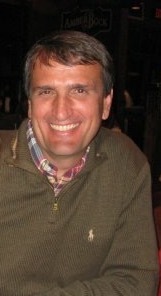 He attended the Medical College of Georgia School of Dentistry and graduated first in his class in 1983. He received awards in oral surgery, oral medicine, pathology, and clinical dentistry and was inducted into the OKU Dental Honor Society. Dr. DeNamur stays active in the local community, where he has been on boards at Columbus State University, American Little League, Western District Dental Society, and on the Muscogee County Board of Public Health. He has served on many fund raising groups for local charities. He is a member of the Holy Family Catholic Church. Dr. DeNamur was recognized with the Columbus Ledger Enquirer Reader Choice Award in 2007, 2009, 2012, 2013, 2015, 2016, and 2018 as a Favorite Dentist in the area as well as with Muscogee Moms.